Modern imaging techniques have the potential to destroy delicate molecules. 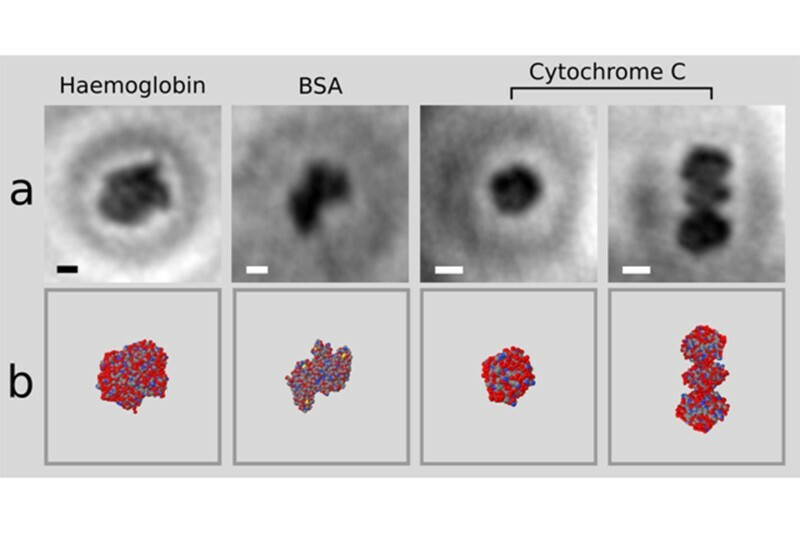 This is one of the reasons biologists have only recently been able to take the first photo of a single protein. It’s all thanks to graphene, the ultra-thin form of carbon. Imaging methods, such as X-ray crystallography or cryo-electron microscopy, rely on averaging readings from millions of molecules.  This often results in a blurry final product; however, averaging is necessary because illuminating molecules with X-rays or high-energy electrons can damage the protein. If a part is damaged, it won’t show up in the photo. Molecules aren’t patient either. Getting a toddler to sit still long enough to snap a family portrait would be an easier feat. This is where Jean-Nicolas Longchamp, of the University of Zurich, Switzerland, and his colleagues come in. They’ve discovered a way to get molecules to sit still. Scientists begin by spraying a solution of the proteins on to a sheet of graphene, fixing the proteins in place. This slide is placed under and electron holographic microscope, which uses interference patterns between electrons to produce an image. The low-energy electrons don’t damage the protein, which seems like a positive thing, however, they are also less able to penetrate through to the microscope’s detector. Thanks to graphene, though, this isn’t an issue. “In optical microscopy you have a glass slide. For our electron microscopy we had to find a substrate thin enough to have the electrons passing through,” says Longchamp. The team of scientists plan to snap photos of other molecules that can’t be captured using traditional techniques. Photographing proteins allows us to understand their structure and functions. If we understand how proteins are supposed to work, we have a better chance of treating the diseases caused by malfunctioning proteins, such as Alzheimer’s. “In the future, we could image the difference in the structure of a healthy person and a person who has a disease,” says Longchamp.